Talking Heads‘ 1980 song “Once in a Lifetime” is one of the most durable songs of its era. Below, you can see how it has held up to numerous interpretations — via remixes, covers, mash-ups, samples and live takes. Released on 1980’s Remain in Light, “Once in a Lifetime” shows the growing influence that producer Brian Eno, was having over the group. Eno had introduced them to the work of Fela Kuti when he first met the band in 1977, and the Afrobeat legend’s polyrhythms first made their way into their sound on 1979’s Fear of Music. In addition, David Byrne‘s speak-singing on the verses was inspired by field recordings of American preachers that Byrne was listening to while working on My Life in the Bush of Ghosts, a collaborative album with Eno that he was working on at the same time as Remain in Light. Those recordings also factored into the lyrics. Yet for all its fame, the song wasn’t even a hit. Although the original version reach No. 20 on Billboard‘s Hot Dance Club Play chart, it failed to make Billboard‘s Hot 100. But its video was frequently shown on MTV in the network’s early days. Five years later, however, the live take from their concert film Stop Making Sense peaked at No. 91. 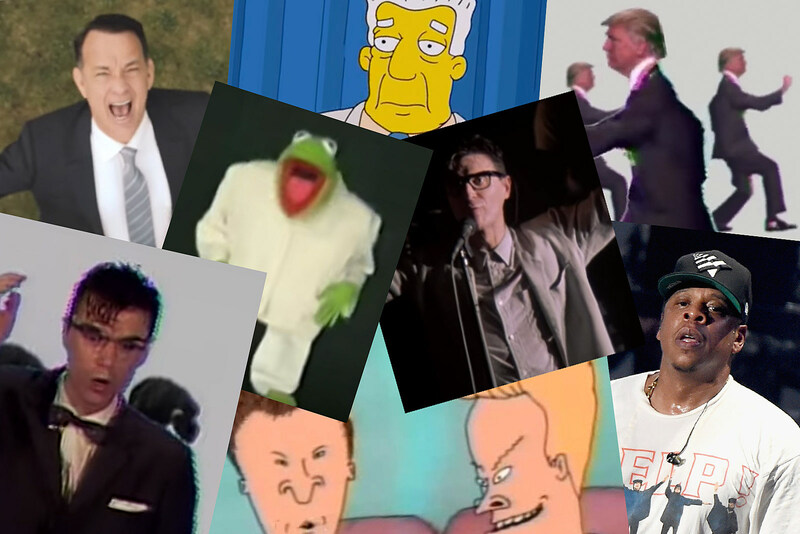 The recent viral video that mashes up President Donald Trump into “Once in a Lifetime” got us researching how often it’s been used. We discovered dozens of times it’s been sampled or had its lyrics referenced in hip-hop songs, plus cover versions, parodies and various live performances by Talking Heads or Byrne over the years.